Private Hire Iceland and it’s drivers, hereby known as PrivateHire.is Terms & Conditions. By using our websites, or our partners websites, you agree to be legally bound by these terms, which shall take effect immediately on your first use of our website. If you do not agree to be legally bound by all the following terms please do not access and/or use our website. We may change these terms at any time by posting changes online. Please review these terms regularly to ensure you are aware of any changes made by us. Your continued use of our website after changes are posted means you agree to be legally bound by these terms as updated and/or amended. You may not copy, reproduce, republish, download, make available to the public, or otherwise use our website content in any way except for your own personal, non-commercial use. You also agree not to adapt, alter or create a derivative work from any our website content except for your own personal, non-commercial use. Any other use of our website content requires the prior written permission of us. You agree to use our website only for lawful purposes, and in a way that does not infringe the rights of, restrict or inhibit anyone else use and enjoyment of our website. We use DalPay Retail. DalPay Retail is an authorized retailer of goods and services supplied by “Logi Juliusson DBA Privatehire.is”. Dalpay.is +354-4122600 will appear on your card statement. All prices are subject to availability and can be withdrawn or changed without any notice. The price is only final when tour is paid in full. Prices for our tours are total prices for the vehicle, not per person. Please note that prices quoted are subject to change. All tours are priced according to departure /arrival in Reykjavik area. Any changes to route or extra services asked for by customer are subject to extra charge paid to the driver him self. PrivateHire.is can, in behalf of the driver, make a claim for those changes if not paid directly to the driver in the end of the tour. PrivateHire.is is the online booking site and trading name of a group of individual taxi-drivers. These booking conditions govern all bookings with PrivateHire.is. Any booking made or order placed by you, whether through the company’s website or otherwise, shall be deemed as an offer by you to purchase the relevant package or other travel arrangement subject to these booking conditions. No contract between you and PrivateHire.is shall come into existence until PrivateHire.is accepts full payment and issues a confirmation invoice. The person who makes the booking accepts these conditions on behalf of all members of the party and is responsible for all payment due from the party. Booking services with PrivateHire.is are currently only available to persons who are at least 18 years old. By submitting a booking, you warrant and confirm to us that you comply with these arrangements. Booking can not guaranty you a specific driver, but the next available one. All bookings made through PrivateHire.is website www.privatehire.is or any of its domains, require a full payment with credit card at the time of booking. PrivateHire.is do not share your credit card information. When you select to pay for your booking you will be sent to our payment provider secure website to complete your payment. When payment is completed you will be returned to PrivateHire.is where you will be able to retrieve your Voucher and Invoice for the booked tour and it’s Add-ons, if any. For cancellation policy, please read our Cancellation policy below. Ordered tours have to have the right amount of passengers, 1-3 passengers OR 4-8 passengers. It is never allowed to follow our driver-guides on separate vehicle (none PrivateHire.is vehicle) and be part of the tour. A “No Show”, is when a passenger does not arrive for pickup within a certain amount of time. Upon “No Show” there will be no refunds made to tours/transfers. Provided we get the flight details beforehand, we monitor the flight status and there are no additional charges for flight delays. Our driver-guides wait for maximum 60 minutes from the official “Landed” time stated on Keflavik airport information screens or on Keflavik Airport official website. After 60 minutes the tour/transfer is considered as a “No Show”. Delay of late arriving luggage, customs check or other law enforcement shall be informed by calling to +354-786-7878. Without any flight information our driver-guides wait for 60 minutes from scheduled time. After 60 minutes the tour/transfer is considered as a “No Show”. Delay of late arriving luggage, customs check or other law enforcement shall be informed by calling to +354-786-7878. All other transfers or tours (other than Keflavik Airport pickup) your driver-guide waits for maximum 30 minutes until your tour is considered as a “No Show”. Baggage allowance per person is one bag weighing up to 23 kg (50 lbs), One carry-on bag weighing up to 10 kg (22lbs), in addition to one small personal item, such as small hand bag or laptop. Guide dogs to lead the blind are permitted. No other pets/animals are permitted in our vehicles. Any changes to bookings must be made no less than 24 hours in advance. Failure to do so can result in 100% cancellation fee. If you wish to change or cancel your day tour in Iceland, please contact PrivateHire.is as soon as possible. Refunds will only be issued to the card used to purchase the tour. We strongly recommend that all our clients take out comprehensive travel insurance to avoid dispute in case of cancellation or injuries/accidents. If you cancel your booking with more than 7 days notice we will refund 100% of the tour price. Cancellations less than 48 hours in advance are non-refundable. All of our tours and/or any services are weather and condition dependent. For your own safety we reserve the right to change your itinerary or to cancel your trip. Please keep in mind that Icelandic weather is extremely variable, especially in the Northern part of Iceland. Our guides/drivers are specially trained to deal with such changing conditions and their number one priority is your safety. Please be aware of this priority and please respect your guide’s/driver’s judgment and authority to make these adjustments to your tour. Such changes are more likely around wintertime rather than during other seasons. Our summer trips, operated from May through September, are rarely adversely affected by harsh weather. If we are forced to cancel your trip due to factors beyond our control before it starts you will receive a 100% refund. If we are forced to change your itinerary at some point during your trip you may or may not be partly refunded for your tour, depending on the trip that you are on and at what stages of that trip a change occurs. This refund is rarely more than 50% since in most cases the majority of our operating costs have already been realized after your trip starts. The Northern Lights are a subject to favorable weather conditions. If a tour intended for Northern lights viewing is canceled due to poor weather, you will be given the option of an alternative date or a full refund. Tours intended for Northern lights viewing are never refunded after tour has started, not in part or in full, even though northern lights were not visible. PrivateHire.is is a online booking site and trading name of a group of individual taxi-drivers and therefore is not in any way responsible for individual drivers/guides actions or inactions. Any claims shall be directed directly to the driver/guides themselves and their insurance companies. PrivateHire.is is insured according to Icelandic laws. By accepting these terms you agree to participate in the activities offered on the tour at your own risk and that you must take responsibility for your own safety. PrivateHire.is does not assume any responsibility for accidents that are caused by its customers or can be traced to their own actions or are caused by factors outside of human control (Force majeure). Passengers are liable for any damages they do to PrivateHire.is properties or their drivers/guides. PrivateHire.is claims no responsibility for any loss, damage, accident, injury, sickness or schedule change due to weather, strike or any other cause beyond PrivateHire.is control. PrivateHire.is acts in good faith, and cannot be held responsible for any agent, hotel, airline, guide, restaurant or any other person’s or company’s acts, defaults or delays in relations to our tours. PrivateHire.is reserves the right to alter routes, itineraries or departure times, without prior notice, should the necessity arise. In the case of any changes to flights (domestic and international) or to scheduled travel by cruise, ferry, bus or train, the passenger is responsible for any additional costs incurred as a result of such changes (e.g., additional nights at a hotel, meals, transfers, etc. ), at the time provided. We therefore advise all customers to have comprehensive travel insurance to meet all contingencies. If, for any reason, you are dissatisfied with your tour, we want to know about it. We recommend you contact us as soon as any incident arises. If you are unable to do so at the time, you must advise PrivateHire.is in writing within 30 days of your return. If you fail to do so, this may jeopardize your right to any compensation. All information in the website is subject to change. PrivateHire.is reserves the right to alter/change/correct mistakes that may possibly appear in the website or published price lists. This site PrivateHire.is is operated by or on behalf the co-operation of a group of individual taxi-drivers. When you view the site or any domain run by PrivateHire.is, your visit and any disputes arising from it are subject to this Disclaimer, and our terms & conditions. We have taken reasonable steps to ensure that the website and all information provided on or through it is accurate. However, PrivateHire.is take no responsibility for information contained on this Website and disclaims all liability in respect of such information. We shall not be held liable for any losses you suffer, including any indirect or consequential loss, including but not limited to loss of business or profits or any other financial loss arising out of or in any way connected with the use of this site. PrivateHire.is is not responsible for the content of any sites directly or indirectly linked to or linked from any pages on this website. If you consider any linked pages to be inappropriate, illegal or offensive, please let us know by contacting us . Clients are advised that all activities are undertaken entirely at their own risk and they must behave in a fit and proper manner at all times in accordance with PrivateHire.is or their partners guidelines and must take proper responsibility for their own safety. All our tours and/or other services do carry an inherent risks and PrivateHire.is or its partners do not assume any responsibility for accidents that are caused by its customers or can be traced to their own actions or are caused by factors outside of human control (Force majeure). 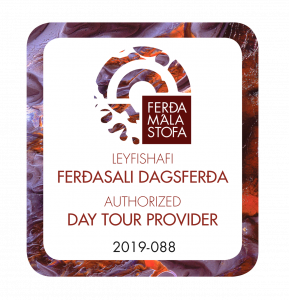 By checking the “Agree to Terms of Service” box and with the purchase of your trip you agree to these conditions, understand its implications and accept responsibility for your participation in your tour. Depending on your chosen trip/activities you may be requested to sign an additional liability release on location prior to certain excursions. Any dispute, controversy or claim arising under, out of or relating to this contract and any subsequent amendments of contracted tours, including, without limitation, its formation, validity, binding effect, interpretation, performance, breach or termination, as well as non-contractual claims, shall be submitted to mediation in accordance with Icelandic laws. The place of mediation shall be Héraðsdómur Reykjaness. The language to be used in the mediation shall be Icelandic.